The last time I cocked up this badly organising a test car was the foggy week I borrowed a Bentley. The Mulsanne was mine for the five days when visibility was so poor, speed limits around the country were restricted to 40mph. So to collect the keys to a GTC4 Lusso T the weekend it decides to snow in England is frustrating. I can see the Ferrari parked outside my window but we haven’t actually been anywhere together for two days. As the snow came down on Sunday, I managed to crawl home with the transmission in ‘ice’ setting. And I mean crawl – 603bhp rear-wheel drive provides all the traction of a bobsleigh. What can I tell you? If you want to know about handling and performance, try Top Gear. I can reveal the cabin is a smashing place to reside and the deep rear seats will even take a grown up, possibly wearing a hat. The Lusso T is an oddly placid place to sit though. It doesn’t ‘feel’ quite as titillating as a Ferrari should, although I’m told there is tons of grip if you want a wild moment of rear-wheel drive pranking. A sports utility coupe – who came up with that idea? Perhaps BMW, with the ‘squashed’ X6 are to blame. The styling of that car is takes ugly to new limits, so what chance the GLE then? Well, despite cursing the shape from every angle, it’s difficult not to find this top spec version crazily entertaining. It isn’t the bodywork but what lies under the bonnet that causes a fit of the giggles every time I press the start button. Forget AMG’s new 4.0-litre V8, this is the old 5.5 with a tank full of torque (like 760 Nm). It’s quite simple the maddest SUV – or SUC – I’ve ever steered. A high-heeled coupe that overtakes everything with a rip-roaring soundtrack. Wide 22-inch wheels help boost grip and in Sport+ mode it simply flies from the traffic lights. Inside, there’s the standard issue Mercedes dash – ruined by the barnacle infotainment screen that won’t fold away – great visibility thanks to the extra height but poor rear vision, due to the tiny, tiny screen. It’s a bit bling, a bit loud and occasionally a bit wild but is there a better way to annoy Range Rover drivers? I doubt it. A Mini estate with a room on top – neat? There’s no getting away from the fact the Countryman is an expensive piece of kit, even without the tent in a roofbox. However, it’s gloriously well equipped inside, with luxurious leather and trim worthy of, well, a car from parent company BMW perhaps. Hard not to be seduced by such a swish package but just remember what else you can get for this sort of money – a proper-sized family car for example. And somewhere along the way, Mini has lost the plot over styling. The interior is cool with ‘mood’ lighting but the outside is desperate. The ‘sad’ face front grille says it all. That’s ‘SAD’ in a Donald Trump tweet-type way. The 181bhp petrol engine should give the Countryman plenty of shove but mated to an automatic gearbox, this particular Mini feels lacklustre. It’s well-behaved at cruising speeds though and feels like a much bigger car. The roof tent? Well, it works if you enjoy a weekend away and there’s no reason why you can’t transfer it to another car because it rests on standard roof bars. A neat lifestyle accessory for an expensive, pint-sized SUV. Bentley Bentagya – can you love the ugly one? I drove the Bentayga in the UAE when Bentley launched the falconry special edition. The trouble with the Middle East is that nothing seems too expensive or vulgar. But driving one around the countryside of England, I wondered how the great and good of the Cotswolds would react to such a statement of ridiculous wealth. Well, perhaps because the Bentayga has such ‘dubious’ styling and is a tad understated for some, nobody seemed to bat an eyelid. I mean, this car is twice the price of a Range Rover! Perhaps if they sat inside the wonderfully silent cabin, sunk their feet into the sumptuous deep-pile carpet and ogled at the amount of wood and chrome on display, they might see things differently. The fastest, most powerful SUV money can buy is a remarkable first step into the ‘utility’ market for Bentley. Both petrol and diesel engines haul 2.4 tons of metal to amazing speeds without the minimum of fuss. Oddly though, even with a raft of extras that would buy you Porsche Cayenne for the same money, the Bentley leaves me unmoved. It is a wonderful way to travel in pure luxury but unlike some other Bentleys I could mention, it’s more of a brilliant tool than a soul machine. England won football’s World Cup, The Sound of Music topped the albums charts and Fiat unveiled a new two-seat convertible to rival the best-selling MGB roadster. London was swinging to a new beat in 1966 and car manufacturers hoped to capitalise from the same feel-good vibe. The 124 Spider wowed audiences when it was unveiled at Turin Motor Show that year, looking every inch as cool as a Ferrari. Pininfarina styling and a budget price made the soft-top an instant hit –just a little racier than the more ‘traditional’ MG, with a whiff of dolce vita about the tasteful design. Fifty years on and Fiat has launched a new Spider that captures the same spirit. It shares a platform with the popular Mazda MX-5 – a car that also happens to be it’s main rival. Both offer a very different driving experience, the Italian powered by a turbocharged engine that requires plenty of gear-shifts to extract the most fun. Like Fiat’s 500 city car, the bodyshell shamelessly harks back to a 1960s original. To my eye this is no bad thing. The MX-5’s slit-eyed headlights and angular styling lacks the charm of the retro Fiat – although the Mazda’s 2.0-litre engine is more relaxed around city streets and has been the number one convertible for decades. Spider strips open-top motoring back to the best of basics, although my Lusso Plus model has plenty of standard kit, such as sat nav, Bluetooth and a DAB radio. Heated seats might be just as important for open top winter jaunts around the West End. The Fiat sports a decent sized boot for shopping, a cheeky rasp from the exhaust and an interior that feels very smart indeed. It’s just a shame the infotainment screen sits flat on the dashboard like a bolt-on afterthought. I wasn’t old enough to enjoy the swinging sixties but I’d like to think I would have been more of a Fiat Spider man that a MG driver. A car to put a smile on your face – even if we haven’t won the World Cup since. The 124 Spider’s fabric roof lowers faster than a Porsche Boxster – or even a Bentley Continental. How come? Well, the Fiat costs considerably less but isn’t lumbered with the response time of an electric hood mechanism. Pop a clip above the windscreen, push the hood backwards and the whole roof disappears in a flash. It’s just as easy to pull up again and the wind insulation at speed is exceptional. 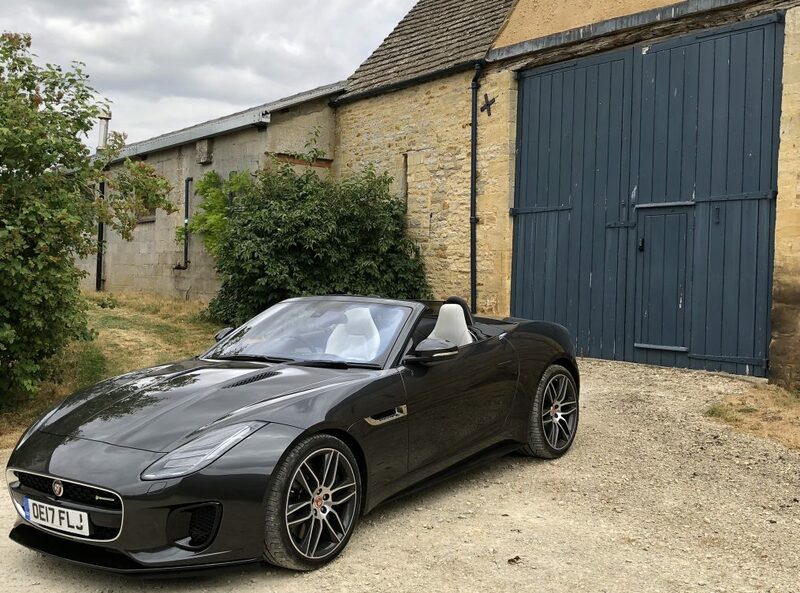 The Spider is just the sort of car for a winter’s drive across the Cotswolds, heater on full blast, hot seats and your favourite tunes filtering into the cabin from the Bose sound system. There’s a lot of Mazda-ness about the Spider’s interior but it does feel a touch classier than the MX-5. The seats are superb – Fiat has placed speakers in the headrests so you can even take a phone call sans roof. The cabin is an absolute delight. Everything is well-placed, there are cubbyholes for bits and pieces, while the general appearance is rather charming – just what you want from a machine that takes its design cues from a different era. And while the performance figures reveal it takes over seven seconds to reach 60mph, passengers sit so close to the road it actually feels much faster. There’s a more expensive Abarth edition that offers extra thrills. Like your favourite Scottish uncle who ate too many pies, the X-Trail suspension is set up for softies. The mundane ride tells you everything about the Nissan – it’s for everyday family stuff and not slepping up a mountain pass. So you’re going to be comfortable on the Tarmac, just a bit bored once the school run ends. At least the new X-Trail has plenty of kit to keep the driver involved. Apart from the optional drone (£500), next year buyers can choose ProPilot to control the acceleration, braking and steering on some roads. And if you are bored with driving in general, autonomous emergency braking will prevent a rear end shunt as you doze off (or you could just call an Uber – other taxi services available). What the 2017 facelight can’t hide is that new X-Trail is pretty much the same as the old one underneath. The drivetrain hasn’t changed – the angular nose job, rear end tweaks and some LED lighting are the headline news. That means the 1.6 and 2.0-litre diesel units are still the same, rather dated units as before that lack the refinement of key rivals. The 2.0 is the pick of the pair but for once I’d say choose the CVT auto, as our manual six-speeder isn’t a smoothy. Sensible car. But is that really you?